Earn unlimited 1.5% cash back on every purchase – it’s automatic. You will receive 10,000 bonus points with this bonus offer, which can be redeemed for a $100 check. To qualify and receive your bonus, you must make qualifying transactions totaling $800 or more during the first 3 months from account opening. Qualifying transactions include purchases, balance transfers, and any checks that are used to access your account, and exclude cash advances. After qualifying, please allow 6 to 8 weeks for bonus points to post to your account. To be eligible for this bonus offer, account must be open and not in default at the time of fulfillment. This one-time bonus offer is valid only for first-time cardmembers with new accounts. Previous and existing cardmembers/accounts are not eligible for this bonus offer. You earn 1% on all purchases and 4% more in bonus categories for a total of 5%. 4% bonus earn is subject to a quarterly maximum. 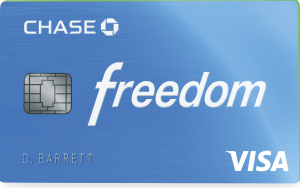 You will be eligible for quarterly bonuses as long as (i) your account is not in default under, and/or you have not violated, the terms of your Cardmember Agreement and Rewards Program Rules and Regulations at the time accounts are selected for the promotional offers, and (ii) your statements are sent to a US address. Quarterly enrollment required.